Water damage restoration from 911 Restoration New Jersey is the key to getting your property back to normal after disaster strikes. Our water damage restoration Cherry Hill crew has over 35 years of experience repairing houses after frozen pipe bursts and rain leaks. In this time, we have learned just how important it is to respond within 45 minutes and start the water extraction immediately. 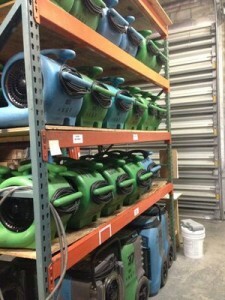 With the latest drying technology in blowers, pumps, and fans, we are ready to take on even the most difficult challenges. Call our water damage restoration Cherry Hill operatives as soon as you find excess moisture in your building so that we can provide same day service. Many times water damage can be prevented with maintenance, such as insulating your water line, leaving your heater on, turning the water line off for extended vacations, and a yearly inspection. It is also a good idea to replace 10-year-old appliances. Many times, floods occur while customers are out of town, thus have plenty of time to compromise the building structure and promote mold growth. A girl called us when she came home to a garage full of water seeping into the laundry room. 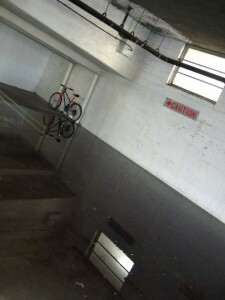 The drain in the garage was clogged so the puddle grew into full-blown water damage. 911 Restoration New Jersey is available 24/7 to respond to such incidents. We showed up for the initial scope and assured her everything would be okay. Within 24 hours, we had the water removed and determined mold was not a factor in this scenario. She was very happy with the outcome. We worked directly with her insurance company to repair the damage, which meant she had to pay nothing out of pocket. Our water damage restoration Cherry Hill team is prepared to provide you with a similar fresh start at an affordable price. One customer came home from a dream vacation to find a homeowner’s nightmare. 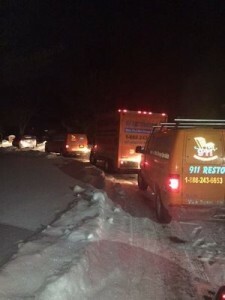 She knew it was an emergency, so she contacted our water damage restoration Cherry Hill experts right then and there. With 2 inches of water flooding her basement, we brought out our heavy duty water pumps. She held herself together well, but there was more than physical damage from that environment. We took care of her with water removal and a fresh start attitude that turned the negative situation into a positive. With her insurance company covering the disaster restoration, we were able to refinish her basement with new carpet, furniture and drywall where it was needed. The cause was a broken water line, which could have been avoided with insulation and shutting down the water line before leaving. We provide our customers with these tips because we always put them before all else. 911 Restoration and our water damage restoration Cherry Hill staff are ready for all types of disasters. If mold spores sprouted from the excess moisture, we have the best remediation techniques to remedy the problem. If a toilet overflow introduced sewage to your living space, we have hazmat gear, odor control, and sanitation tools to make the house perfect again. Call our water damage restoration Cherry Hill specialists when you need a fresh start and we will respond within 45 minutes to put our IICRC certification to work.